This is the Kitchen. 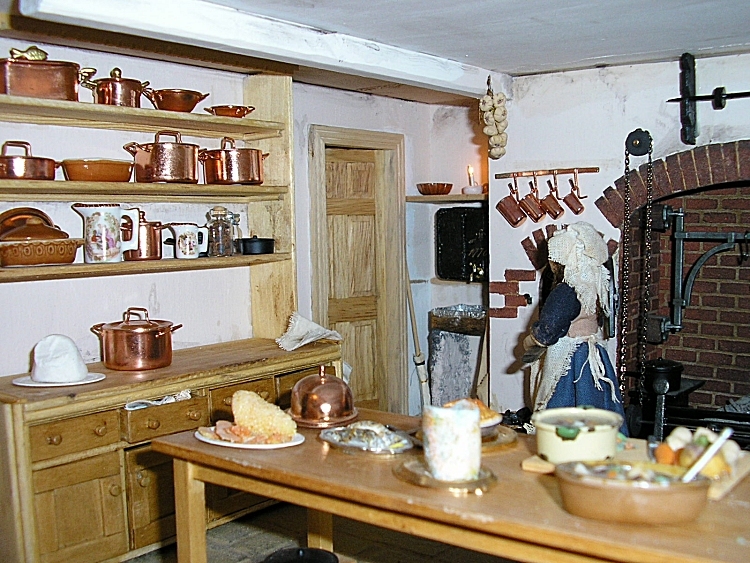 Situated in the basement, this is where all the food would be prepared for the household. The large fireplace is handmade, as is the fire grate. 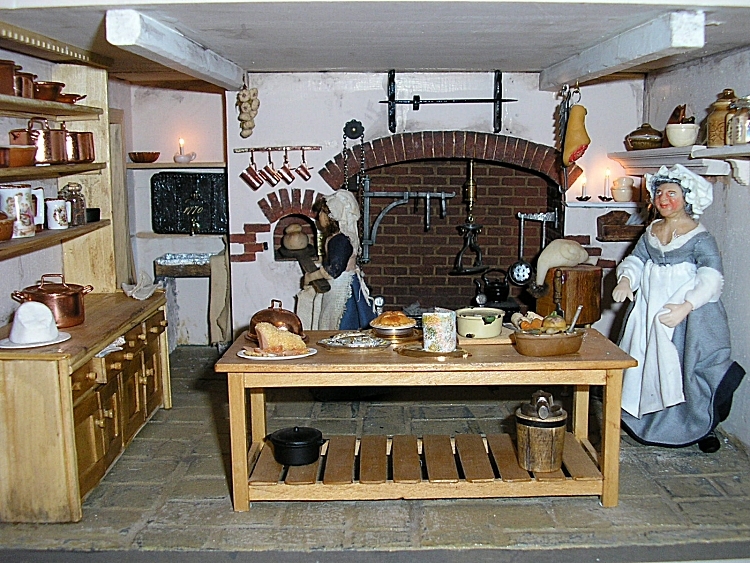 It has a working fire, chimney crane, spits and fire dogs and a smoke jack - all essential items for the Georgian cook. 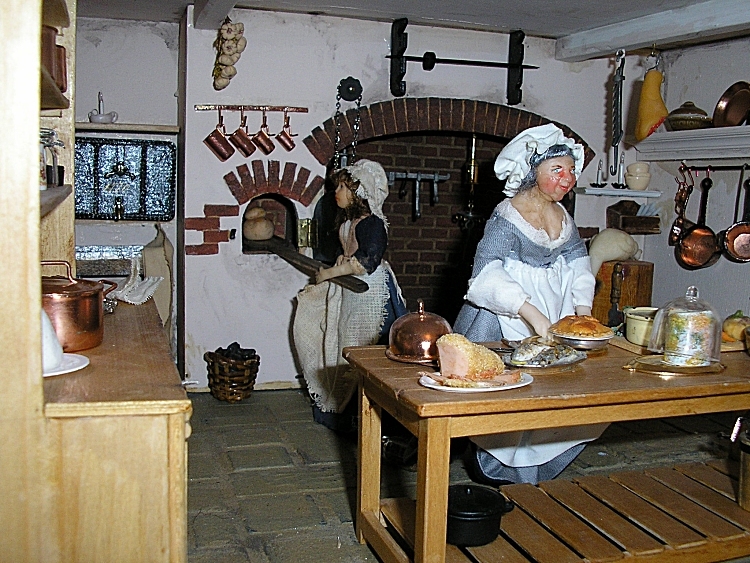 The bread oven is also housed within the fireplace. There is a lead-lined sink and a water tank in the corner. The large dresser and table are both hand made. The dresser is well stocked with all the essentials - pots, pans and linen etc. This would have been a rather dark, dank, dirty area, since there was only candle and firelight available.